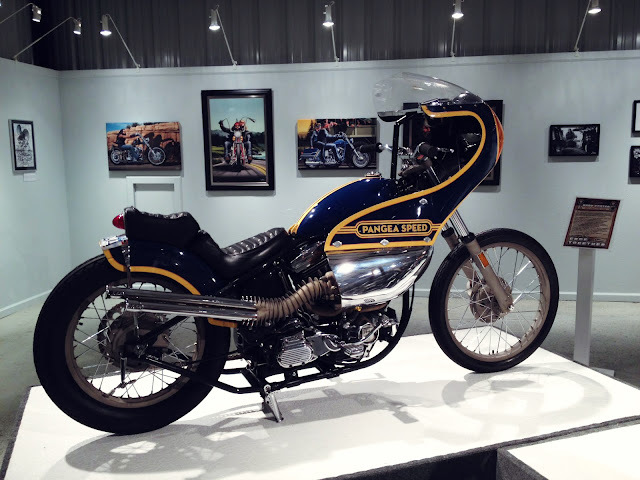 In 2012 Scott Halbleid left his career as a graphic designer to focus his efforts on building custom motorcycles. As a trained, multidisciplinary artist his skills already included sculptural and fabrication techniques which when combined with a lifelong love of motorcycles had him positioned perfectly for the transition. 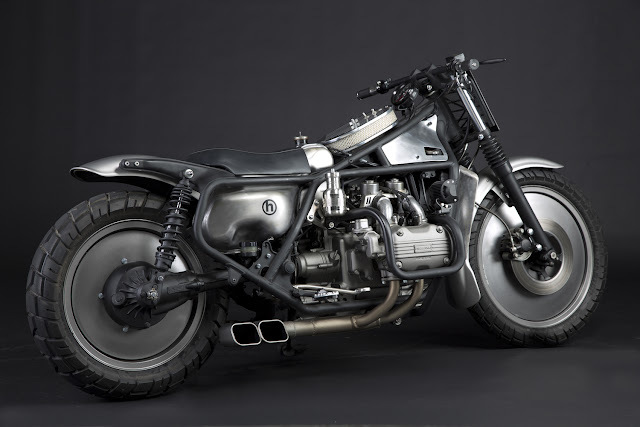 Since he opened the doors of his 'H Garage' workshop he has amassed an impressive portfolio of custom builds, but this '78 Honda Goldwing, his latest creation, is the icing on the H Garage cake. 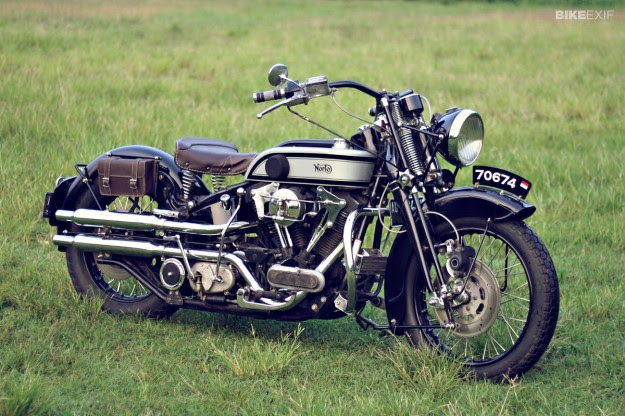 Scott acquired the Gold Wing when an acquaintance stumbled across it decaying in a barn and offered it up for sale. He had already been tempted by another Gold Wing he'd seen at a swap meet months before so convincing himself to lay down the cash was an easy task. After taking ownership of the ageing GL1000 it was decided the bike would be his next workshop project with an aim to transform it into a fully faired bagger. Thankfully after some deliberation while observing the stripped down Honda the bagger theme was ousted in favour of a Hot Rod/Mad Max themed bike, naked, raw and packing plenty of attitude. 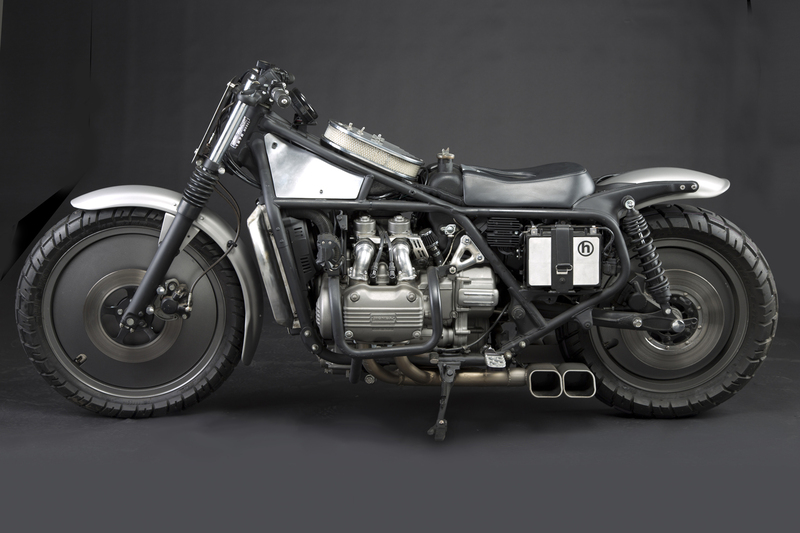 With the beast of a bike taking up a large chunk of real estate in Scott's 2 bench workshop the Gold Wing build had to be prioritised and completed as soon as possible. Over the following 6 months he transformed the 1800cc behemoth into his minimalistic road warrior named No. 5 to commemorate his fifth H Garage workshop build. After the initial tear down the Gold Wing's frame and its water cooled, flat 4 engine were cleaned and painted before being reunited once again. 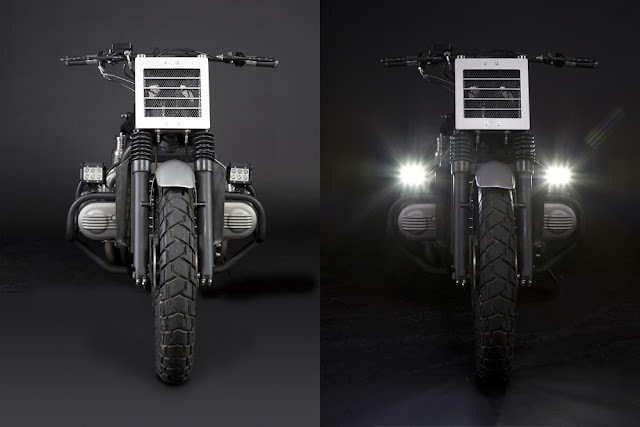 Hot Rod parts manufacturer Mooneyes supplied a set of solid alloy "moon discs" to conceal the bikes cast wheels and the stock Honda fenders were stripped to bare metal. In the rear he trimmed the fender and rolled it around to sit over the rubber at 5 minutes past twelve and tucked an integrated brake/signal LED strip beneath the lip of the fender. With the removal of the bikes faux fuel tank (on this model Gold Wing the real fuel tank lives under the seat) a new air filtering system was required, so Scott once again looked to an aftermarket manufacturer in the Hot Rod scene for a solution. 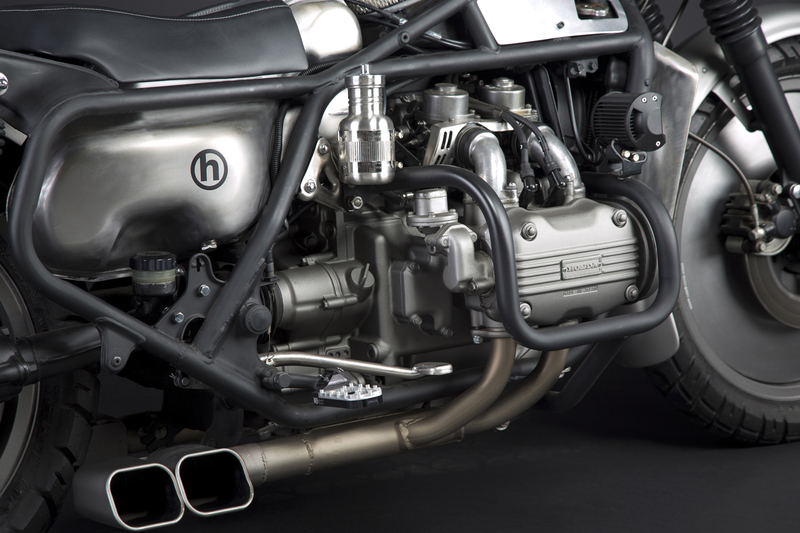 Performance carburettor specialists Holley had the perfect solution in the form of a large billet filter that perfectly fit the top of the frame so he mounted it using a custom made inlet system, feeding all 4 of the bikes carbs. 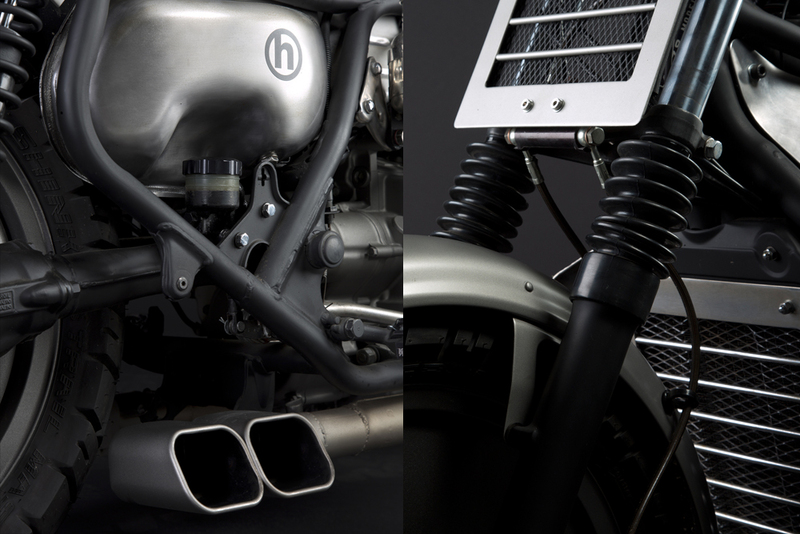 When it came to the bikes exhaust extra time was spent refining its design prior to fabrication. A pair rectangular tips were underslung on the frame to visually draw the bike lower to the ground. Shooting out horizontally from either side of the bike the mufflers were welded to the stock headers and produce an exhaust note that'd put most Harley Tourers to shame. With modifications to the flow of gases through the carbs and out of the engine some tricky tuning was required. For this Scott enlisted the help of Chad Francis of RetroWrench who solved the problem with careful synchronisation, jetting and a bit of needle drilling. The bikes factory controls were swapped out with MotoGadget switches, new cables and hand levers mounted to a set of drag style bars. To help keep cables to a minimum a GPS speedo with integrated tacho sits on the backbone of the frame. The headlight has been replaced by an alloy framed, mesh faceplate and a pair of high intensity LED Fog lights perched atop the engine guard rails provide enough light to illuminate a small stadium. Suspension has been upgraded with Progressive rear shocks and rebuilt fork internals and all of the tired old brake lines have been replaced with braided ones. The seat pan was designed to wrap over the fuel tank which protrudes out from the top of the bikes frame. Using several welded sheets of steel it hugs both the frame and tank perfectly allowing easy access to the tanks filler cap. 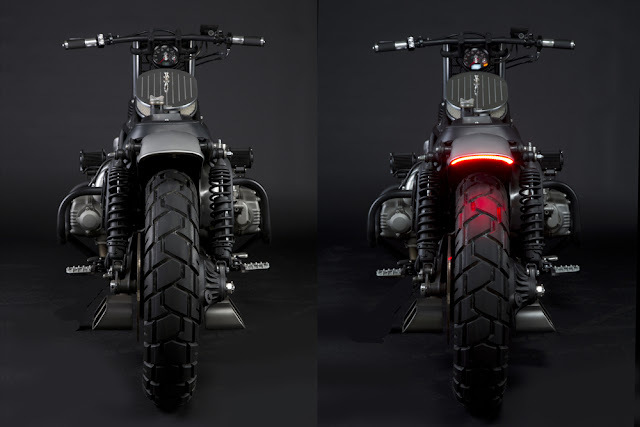 The final finish on the bike was achieved by applying a custom paint colour to the face plate and the fenders before laying down a satin clear coat which gives them the appearance of raw steel. The gas tank, radiator surrounds and various brackets were stripped bare before being clear coated in a heat proof clear coat while the frame, drivetrain and forks were finished in satin black. These days, you can slot most custom bikes into a clearly defined genre. 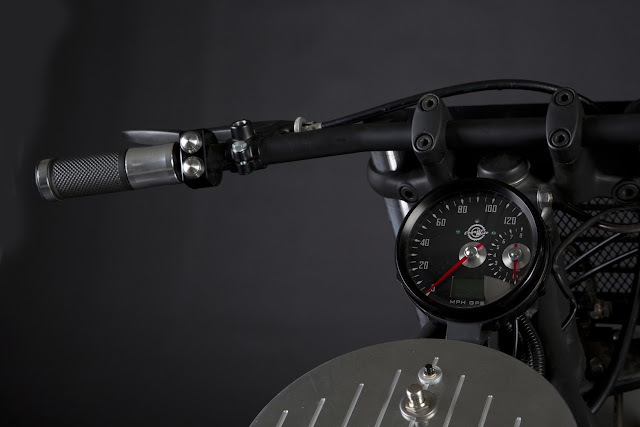 Café racer, bobber, tracker—a quick glance is usually all it takes. 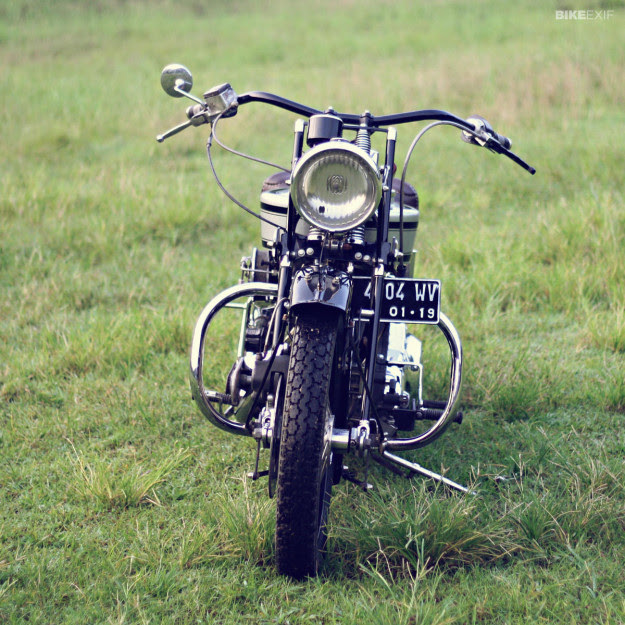 But occasionally a bike appears that defies categorization, like this Harley-Davidson Softail Springer from Indonesia. A modern American cruiser with vintage Brit iron looks? I’m not sure where that fits. It’s the work of Cosmas Lili Sudrajat, a 38-year-old who lives in a city called Yogyakarta on the island of Java. Cosmas is a fan of British bikes and Nortons in particular, but they’re not easy to come by in the tropical rainforest. So he decided to build his own. After a little photo editing, Cosmas figured that he needed a Softail Springer. He found a 1992 model in good original condition, gathered some tools, and set to work. He modified the rear suspension to lower the ground clearance, and changed the stance with new wheels. The 21” front wheel was ditched in favor of a 19” BSA wheel, and the rear wheel went up from 16” to 18”, courtesy of a vintage Harley WL rim. Using a 1929 Norton tank for inspiration, Cosmas made a model of a new tank and sent it to a specialist to recreate in metal. He did the same with the fenders, this time using BSA Golden Flash fenders as a guide. And then the 8” headlamp and sprung seat. When the parts arrived, Cosmas created new brackets to mount them and modified the Harley’s frame to ensure that they all fitted neatly. 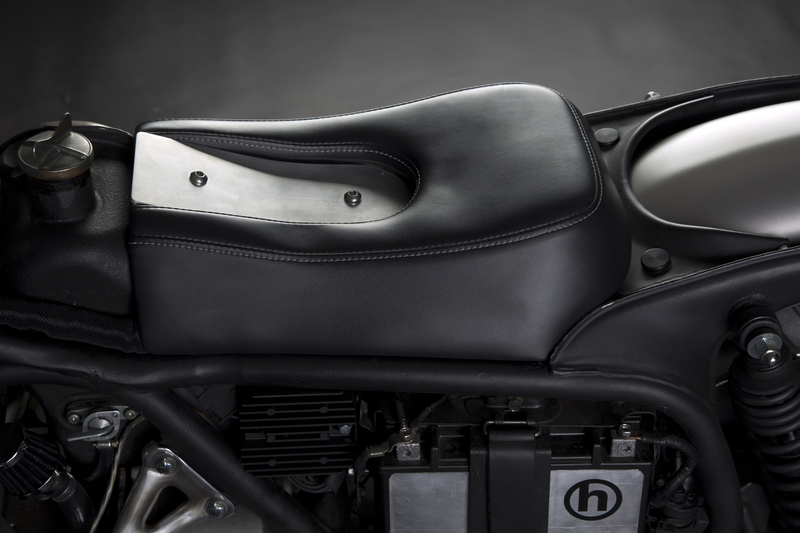 Most remarkably of all, he also created a copy of the Norton gearbox casing and had it cast in aluminum. The air filter cover is from a Volkswagen car, and the custom exhaust system replicates the classic ‘peashooter’ style. 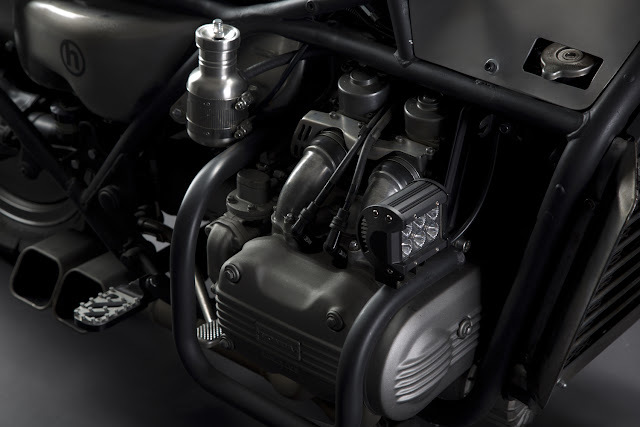 The kickstarter is wired to the electric start, so when the bike is ‘kicked,’ the electrics fire the engine up. It took Cosmas more than two years to finish his creation. 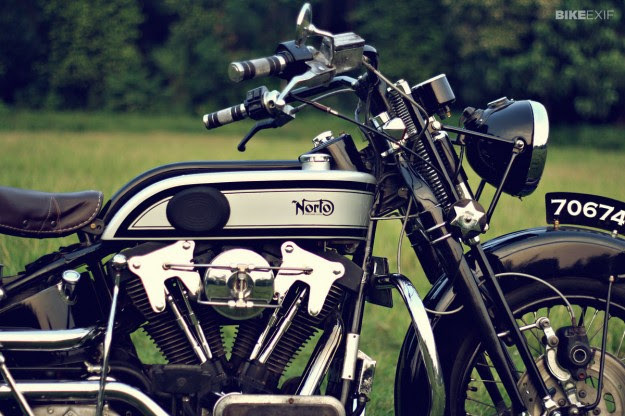 He’s christened it “Norto”—a combination of Norton and the name of his son, Toto. After all that, I’m still not sure how to categorize this bike. It’s certainly not something you’d see in the established bike-building centers of the West. And even stranger to think it’s roaming the streets of an island in Southeast Asia. The post Custom Harley Softail Springer appeared first on Bike EXIF. Earl and son Brian, a fireman by profession, share similar tastes in hot Triumphs. The homage to the ’60s bobber chopper seen here is the creation of a Brit-bike fan named Earl Kane, his enterprise called “Cycle Art by Earl” and located in San Pedro, CA. Since Earl‘s been building bikes and custom parts since 1964, he was there when this Trumpet was new, as the gnarly hardtail is built around a 1964 Bonnie powertrain placed in a TR-6 frame with an aftermarket hardtail rear-end mated to an equally classic Ceriani front end. The rear wheel is a Harley 16-incher laced to a Triumph hub, and that rear spinner knock-off was transplanted from a 1950s Hildebrand sprint car. 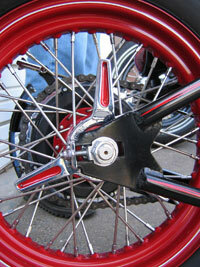 A 19-inch wheel upfront wears an 8-inch ’69 Triumph twin-leading shoe brake assembly. “The front brake works great, but with the back brake it helps to drag your feet,” laughs Earl. His own handiwork can be seen in the deeply and dramatically finned oil tank he designed and fabricated to match the original Webco 1960s finned primary cover. Spark is advanced via an original 1970s ARD mag, so the bike runs batteryless with no unsightly switches to clutter up the bars. 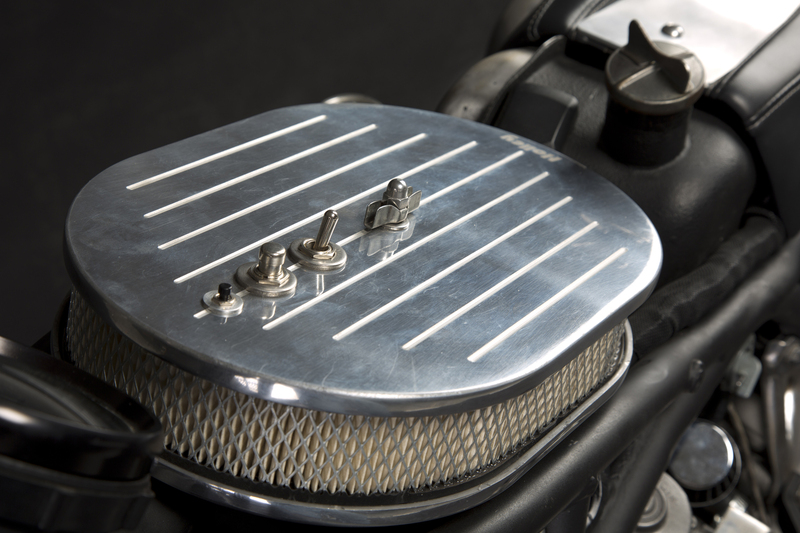 He also made the velocity stacks and the chain tensioner as well as the chromed steel pan seat. It’s doubled up with a liner underneath, and those pads contain gel foam under leather. Earl says that with the combination of the springs, taken from a Stingray bicycle, it makes for a fairly comfortable ride even with the hardtail design. You’ll notice a very trick kickstart lever, Earl’s signature piece found on all his bikes. “The first one I whittled out of metal, then I had a bunch made by water-jetting.” Earl says the bike is usually a first-kick thanks to the mag. 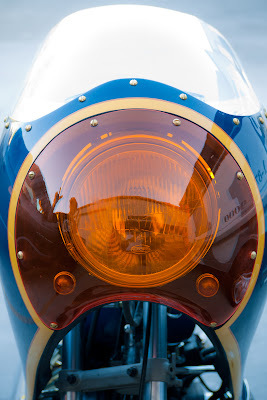 When the bike fires up, the headlight comes on, and that headlight is a 1950s Appleton auto spotlight. Class auto wheel spinner used as gas cap, another custom-made Kane part. Spinner theme also applies to the Kane custom wheels. While Earl specializes in Triumphs, he also works with BSAs and the occasional Norton. His price range for building one of his gnarly bobbers runs $7500-15,000. If you bring all your own parts that could drop to as low as $5K. You can check out his other bikes (and some cool vintage sprint car photos) on his web site http://www.earlsbikes.net/ or you can call him at 310-218-2979. In the premier biker movie of all times, the 1953 The Wild One starring Marlon Brando, the hero “Johnny” is not riding a Harley. Instead, he’s roaring around on a Triumph, a trophy tied to the handlebars. 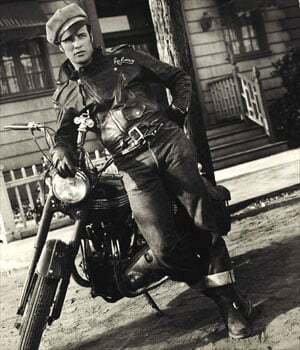 Brando and his Triumph in The Wild One. Maybe the motorcycle brand’s name was a metaphor for the character’s action-packed life and the reason the movie makers chose a Triumph, or maybe Brando just preferred the machine personally. Whatever the reason, after the movie’s release, black leather jackets and Triumph sales skyrocketed. Bad was now good. Triumph was founded in 1886 by a German immigrant to London, one Siegfried Bettman who came up with the name for his bicycles. By 1902 he was hanging motors (Belgian made) in the spindly frames and producing motor-cycles from new headquarters in Coventry. Three years later, Triumph was making its own 100% bikes. Fifty years later, they latched onto another famous moniker, the Triumph Bonneville, and as they say, the rest is history. The Thunderbird was introduced in 1950 and then in 1958 the famous Bonneville launched itself into motorcycling history. Sales were more than brisk, some 48,000 Triumphs produced in the banner year 1969. But after some 20 years of economic troubles and corporate wheeling-dealing, the company was dissolved in 1983. A new owner with a new vision, John Bloor, revived the company in 1990 and built a new factory in Hinckley where he unveiled a whole new species of Triumph in 1992. They would enter the U.S. market in 1995, followed by a re-launch of the famous Bonneville in 2000. Over the next several years the company prospered thanks to high-quality machines that attract a whole new generation of riders. 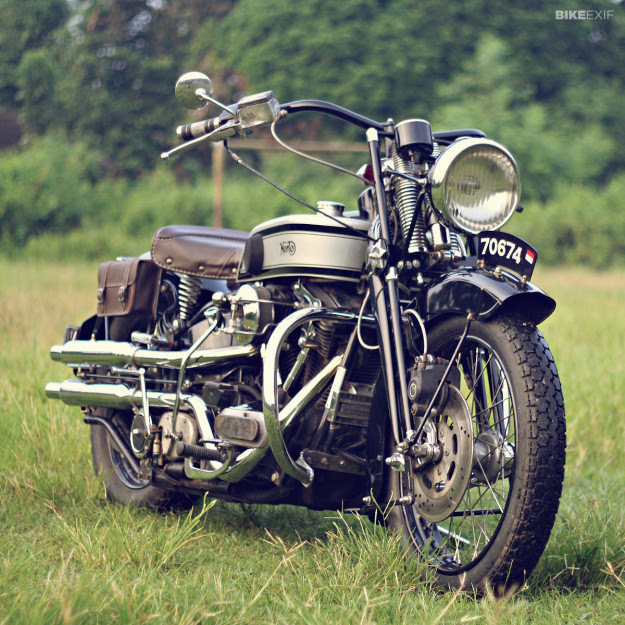 In any case, people have been “chopping” or customizing Triumphs, aka Trumpets, since they were chopping and customizing Harleys, the choice a function of geography and finances. In recent years there’s been a re-boom of interest in Triumph customs, both the classics of the 1960s-70s and even the new batch of “modern” Triumphs. But you just can’t beat a late-’60s 650cc Triumph for character, attitude, trim good looks and enough power to bridge the fun gap between the 20th and the 21st centuries. Seen here are four Southern California variations on a Triumph chopper theme, bikes built by individuals each with a unique perspective on what constitutes a Brit Bike Gone Baaaddddd! There are even more screenwriters in L.A. than waiters or corner coffee shops, something like 50,000 movie scripts registered each year with the Screenwriters Guild, and only around 100 bought. Beating the odds, Scott DiLalla fused his passion for bikes and film and started up One World Studios, and went on to create the award-winning Choppertown and Brittown movies. Looking for a new two-wheeled “star,” he decided to design his own vision of the perfect Triumph chopper, eventually calling it The Harbortown Bobber, also the name of his latest film project. Earl Kane, previously mentioned, would also play a major role in its creation. A couple years later he began his new project seen here which began with two bikes he bought as parts bikes, most of a 1969 Triumph and a1971 Triumph Bonneville café project that had gone nowhere, its 750cc motor eventually powering the Harbortown Bobber. 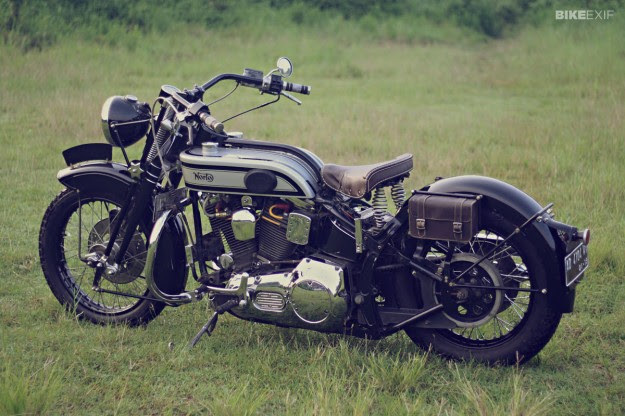 As he set about designing and hunting for parts, Scott focused on a hard-to-find Wassell peanut tank then had it modified to his vision, including a new tunnel and relocation of the filler hole. The oil tank and fenders are fabricated from spun steel, while tire choices were a 16-inch in the rear and 21-inch in the front. “The wider rear tire (130 Metzler) and the form-fitting fender add a sense of weight to the rear which helps give it that different look when compared to other Triumphs,” Scott explains. The frame was a different matter. Scott drove the 1400 miles along famous Route 66 to Denver, Colorado and a shop called Shamrock Fabrication to put his hands on it. “We did 3,000 miles in one week, but it was worth it,” says Scott. At this point, Earl Kane was bought into put it all together while the film recorded the process as part of the film, art imitating life in reverse. Earl also introduced Scott to jet coating (ceramic coating), a process similar to powder coating that car guys use to insulate their exhaust pipes as well as give them an aluminum finish. 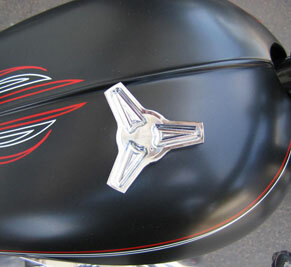 The treatment was applied to the bike’s gas tank, oil bag, and fender with the resulting polished aluminum look. Bosozoku biker gangs once ruled the streets of Japan, these days though they are more of a nuisance than anything else, revving their engines and riding like lunatics through quiet neighbourhoods. While this doesn't sound all that cool the Bosozoku style is about as individual as you could imagine and it was only a matter of time before someone outside of Japan added a bit of Bosozoku to one of their builds. Andy Carter owner of workshop Pangea Speed is just the sort of tradition breaking builder to do it and what better time to unveil such a ride than at Born Free 4. As you can see he certainly didn't disappoint. Not only does the bike look like nothing most people would have ever seen before but it also performs nothing like a stock Harley would. The bike uses a '75 Shovel frame with a '92 FXD motor with FXR transmission and a great big GT17 Turbo boosting power way beyond the factory 67bhp! Here's Andy's builder profile video released prior to Born Free 4. Born Free from Jmills Entertainment on Vimeo. It's a bike that like many of his other builds, will be met with varying opinions. But just like watching a movie you know it's done it's job when you everyones talking about it after the show. This won't be the last time you see this bike doing the blog rounds.